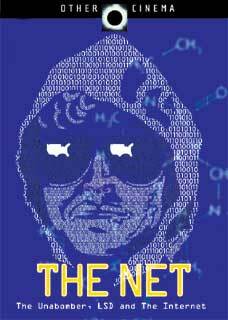 Ultimately stunning in its revelations, Lutz Dammbeck's The Net explores the incredibly complex backstory of Ted Kaczynski, the infamous Unabomber. This exquisitely crafted inquiry into the rationale of this mythic figure situates him within a late 20th Century web of technology—a system that he grew to oppose. A marvelously subversive approach to the history of the Internet, this insightful documentary combines speculative travelogue and investigative journalism to trace contrasting countercultural responses to the cybernetic revolution. For those who resist these intrusive systems of technological control, the Unabomber has come to symbolize an ultimate figure of Refusal. For those that embrace it, as did and do the early champions of media art like Marshall McLuhan, Nam June Paik, and Stewart Brand, the promises of worldwide networking and instantaneous communication outweighed the perils. Dammbeck's conceptual quest links these multiple nodes of cultural and political thought like the Internet itself. Circling through themes of utopianism, anarchism, terrorism, CIA, LSD, Tim Leary, Ken Kesey and the Merry Pranksters, The Net exposes a hidden matrix of revolutionary advances, coincidences, and conspiracies.